There are many students and graduates out there that are struggling with paying for their student loans. Often times, these people have heard of refinancing student loans in order to make their payments lower and more manageable. But before you consider refinancing student loans, there are some things you should first consider. Let this be your guide to the truth about refinancing student loans. Refinancing student loans often seems like a good idea. 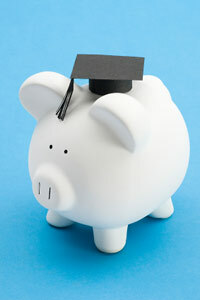 In fact, refinancing student loans is a good idea, if you use it to your advantage. We shall go over that in a minute. First, you need to know that most student loans are often of a variable percentage rate until the rate is locked through means of a loan consolidation, or by refinancing the loan. Currently, interest rates are quite low so it is a good time for refinancing student loans. Refinancing student loans is only available to students who have always paid their student loan bill on time. If this does not sound like you, then I wish you good luck trying to refinance your student loan. Refinancing rates are often offered between one and two percent lower than your original student loan rate. Most refinancing rates will save you up to 60 percent. But this is where the drawback is that most people don’t realize when they refinance their student loans. The drawback is a hidden drawback that most people never really see. I will explain. In order to get your payment lower through refinancing, you are given a much longer time period to pay the loan off. Instead of 5 years, it may be 20! This may sound good in the beginning. At the time, it will leave you with extra money that you may need for other bills. But in reality, it just costs you more money in the end because you will be paying interest much longer to the lender. The smart way to do it is to pay more towards your lower interest rate student loan bill that you have just refinanced. This way it is cheaper and you will pay it off much quicker than normal. But only do this if you can afford it. If you refinanced your student loan because you couldn’t afford the payment, then just pay it off as best you can at your own pace. This is the truth about refinancing student loans. This information can either be welcomed, or a hard thing to hear. Try to use this information to help you when you refinance student loans. If you utilize all of the information at hand, you should be able to pay your loan off faster and save some money. Tripp Taylor offers expert advice and great tips regarding all aspects concerning Student Loans. Get the information you are seeking now by visiting http://www.studentloansreview.info. Two great books on how to get money for college: How to Go to College Almost for Free and Free $ for College for Dummies .